“The Marvelous Mrs. Maisel” actress who won the Emmy for Outstanding Lead Actress in a Comedy had a serious point to drive home Monday night. At the 70th Primetime Emmy Awards this week, actress Rachel Brosnahan had a loud and clear message for all women: Using your voice is incredibly important and one of the most impactful ways to do that is to vote. 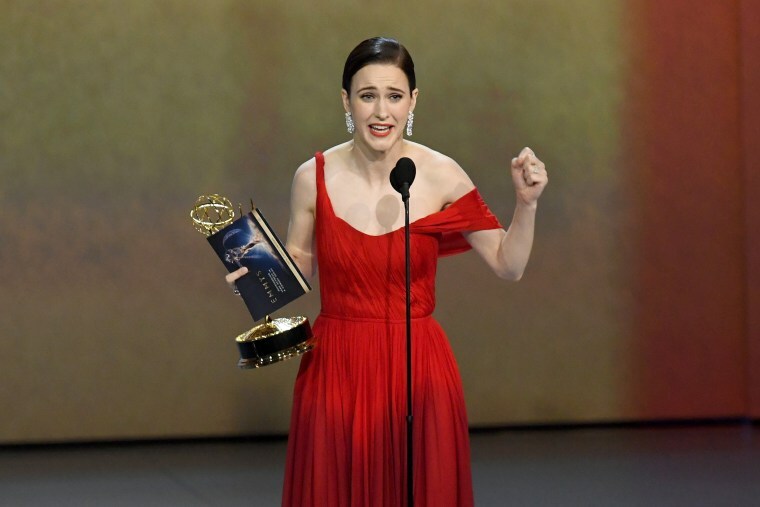 Brosnahan, 27, took home the Emmy for Outstanding Lead Actress in a Comedy for her role in “The Marvelous Mrs. Maisel.” Brosnahan plays Midge Maisel in the critically acclaimed Amazon comedy, which took home six awards on Monday night. The show – set in New York City during the 1950s – centers on Midge, a wealthy housewife whose husband suddenly leaves her. After her world is upended, Midge discovers she has quite a knack for standup comedy. When Brosnahan appeared on stage to accept the award, she tearfully thanked her family and friends along with the cast and crew of the show, but made it clear that she had a bigger point to drive home. More than 11 million viewers tuned into the Emmys last year, so here’s to hoping that Brosnahan’s call to action encourages fans to go to the ballot box.